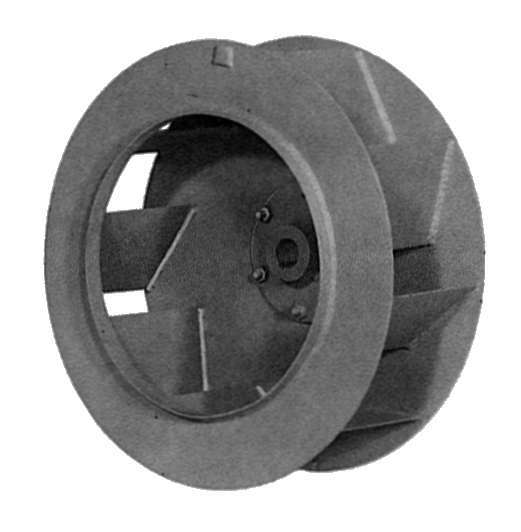 Forward curved bladed impeller, high volume - low pressure duty, general ventilation fan for clean air applications only. 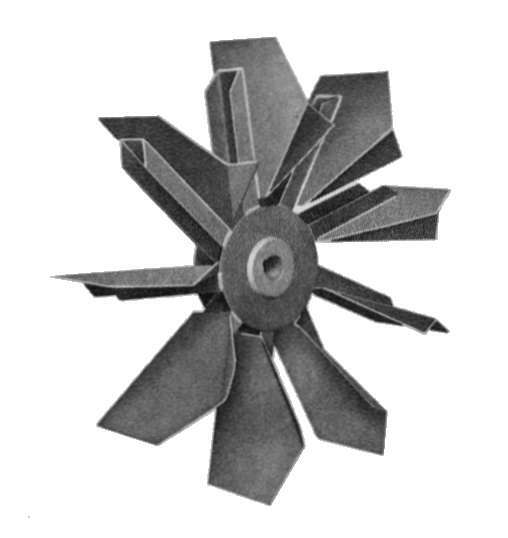 500 - 200,000 c.f.m. 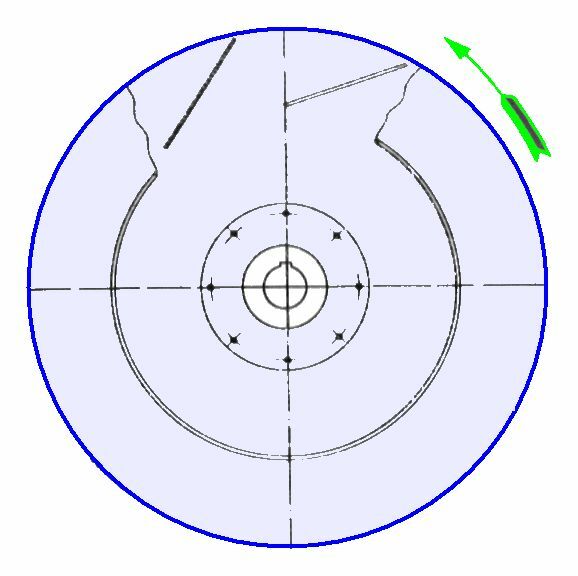 Pressure usually up to 4" s.w.g. 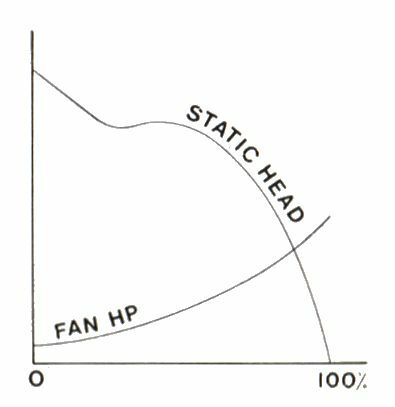 Backward curved aerofoil section blades, high efficiency, high volume medium pressure fans, self limiting power curve, generally for clean air application. 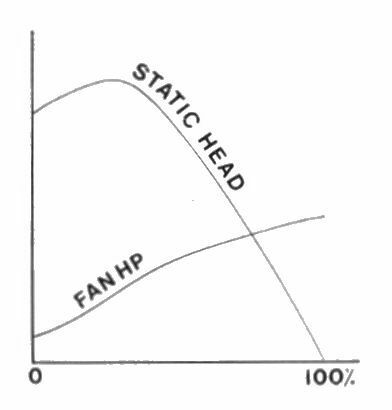 1,000 - 200,000 c.f.m. 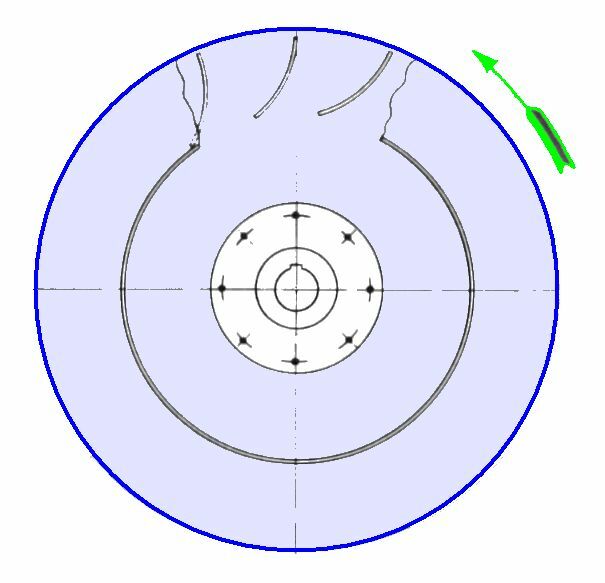 Pressures usually up to 15" s.w.g. 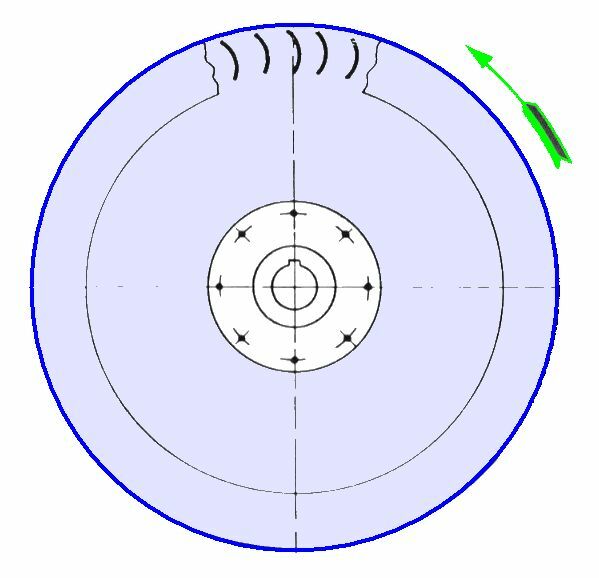 Backward inclined bladed impeller self limiting power characteristic, application as 'W' type but will accept light dust loadings. 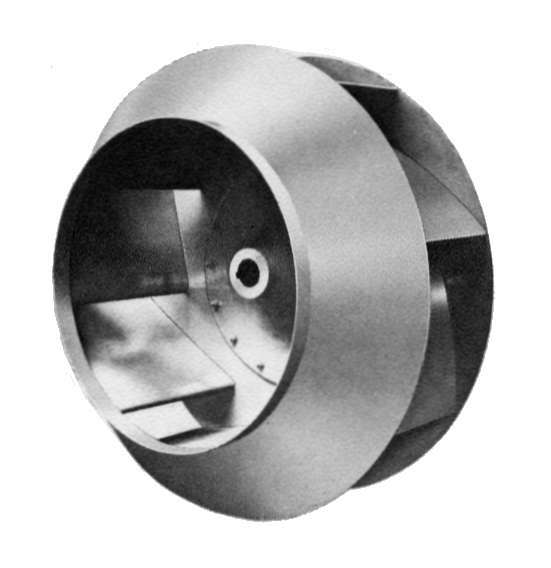 Curved radial tipped bladed impeller, medium volume medium pressure fans, inherently strong construction, ideal for severely contaminated gas streams and high temperature operation. 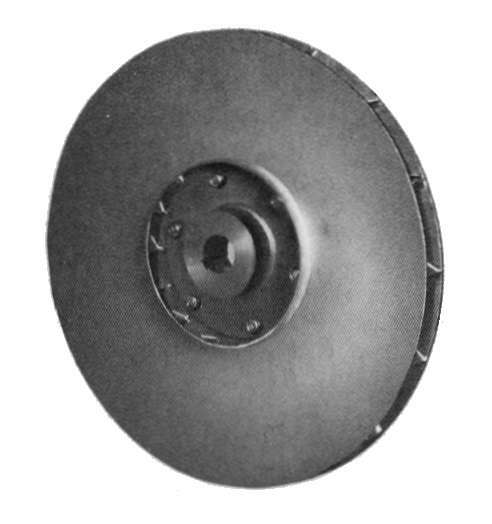 Full width paddle bladed impeller, open bladed construction ensures unrestricted passage of materials through casing. 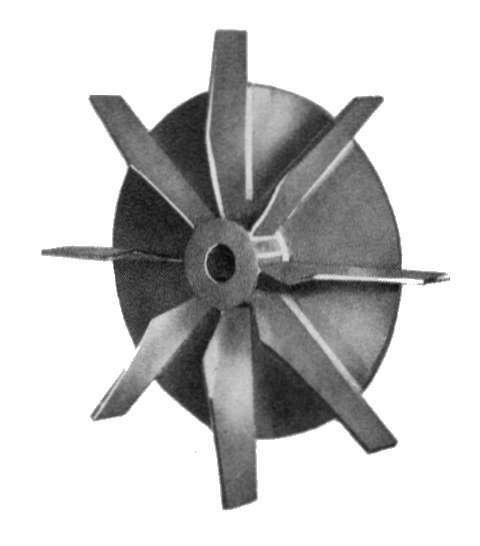 500 - 50,000 c.f.m. 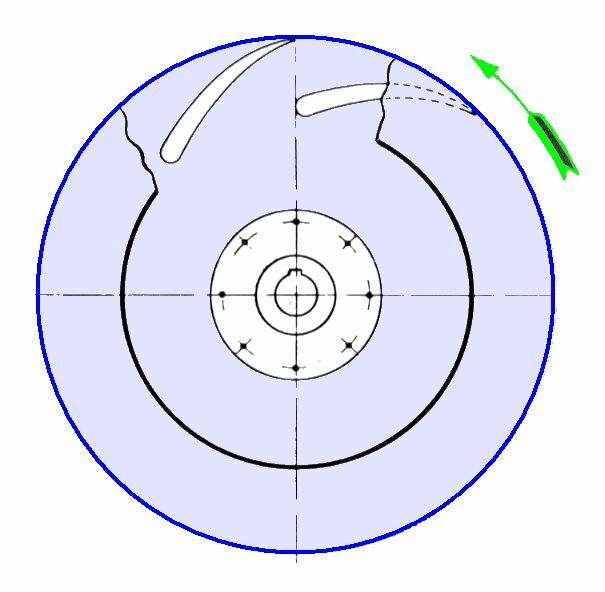 Pressures usually up to 12" s.w.g. 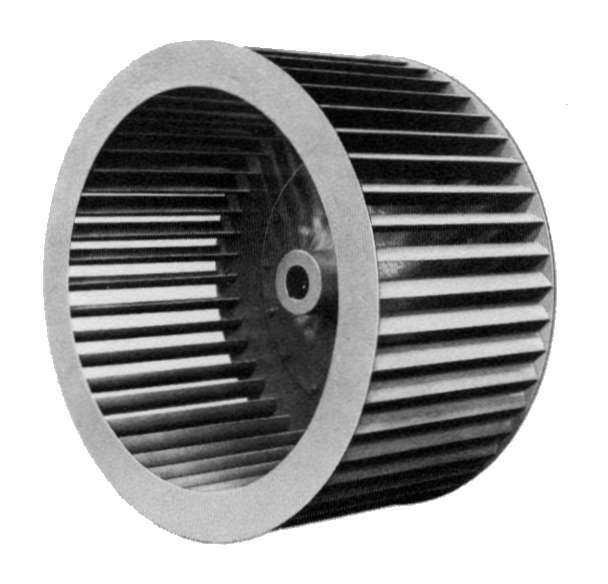 Narrow back-plated radial blade impeller, suitable for conveying materials. Up to 20,000 c.f.m. 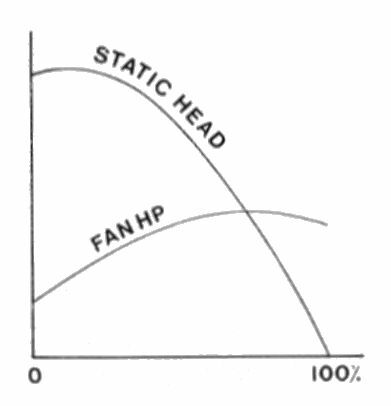 Pressures usually up to 50" s.w.g. 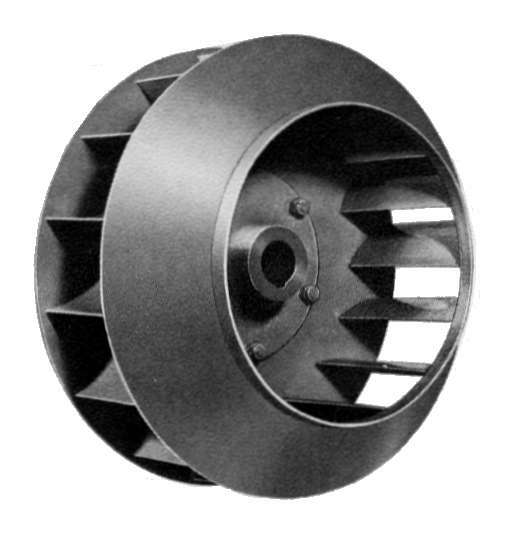 Narrow width/high efficiency fully shrouded backward bladed impeller, suitable for clean air application. Up to 35,000 c.f.m. 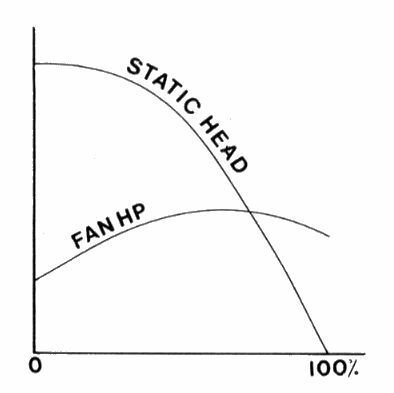 Pressures usually up to 60" s.w.g.